What Astor didn’t know during that fateful visit was that her portrayal of Brigid O’Shaughnessy in The Maltese Falcon would be the one she’d best be remembered for, one of the greatest femme fatales in film history, the one that would set the standard. It’s worth noting that despite the fact that both John Huston and Humphrey Bogart wanted Astor to play the duplicitous, scheming O’Shaughnessy, she was Warner Bros. executives’ second choice. The Warners intended the part for 27-year-old newcomer, Geraldine Fitzgerald who everyone at the studio believed had great star potential after proving herself in 1939 with memorable roles in William Wyler’s, Wuthering Heights and Edmund Goulding’s, Dark Victory. Warners tried everything to get Fitzgerald to take the part of O’Shaughnessy in Falcon, but the actress preferred to go on a previously scheduled East Coast trip, rather than take a chance with a first-time director and a low-budget whodunit. So, Warners went with its second choice, Mary Astor. And she made the part her own. Now is the time for me to say, BEWARE! Spoilers lay ahead! Effie Perine: There’s a girl wants to see you. Her name’s Wonderly. Effie Perine: I guess so. You’ll want to see her anyway. She’s a knockout. In walks an innocent-looking, yet tense and nervy, Ruth Wonderly (Astor) who proceeds to tell the cynical Spade that she is in desperate need of help because her sister Corinne is missing. Wonderly claims to have arrived in San Francisco after receiving a letter from her sister saying she was there but gave no specifics as to her exact whereabouts. Wonderly nervously explains that Corinne had run away with a mysterious and dangerous man named Floyd Thursby. She goes on to say she’d met Thursby briefly and that he’d arranged for her to meet with her sister later that nigh, but that she had doubts as to whether he’d deliver as promised. As she’s finishing her story, Spade’s partner, Miles Archer walks into the office and is taken by Wonderly’s beauty. Spade fills him in on the details and says they’re taking the case – to find Corinne and get her away from Thursby. Eager to get to know the beautiful brunette, Archer volunteers to shadow Thursby that night and free the sister. OK. So…none of that turns out to be true and nothing goes as planned that evening. Archer is shot dead by a hand in the dark while performing his detective duties. 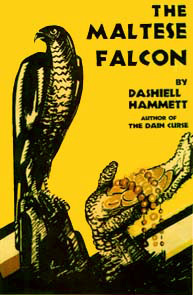 Sam Spade is immediately notified of his partner’s death, which sets off his investigation in earnest and leads the hard-nosed detective to cross paths with several unsavory characters who have been searching for the priceless Maltese Falcon for decades. Be aware that there’s a hell of a lot missing in the (purposefully) thin synopsis of the film you just read. Telling the plot of The Maltese Falcon in a linear fashion is a near impossibility as the “mystery (in the film) is as thick as a wall and the facts are completely obscure” (Crowther). Suffice it to say that in the middle of the fray, at every twist and turn, is Ruth Wonderly who would take on a couple of different aliases as the story progresses toward a great resolution that comes slowly “as a monstrous but logical intrigue of international proportions is revealed” (Crowther). Brigid O’Shaughnessy turns out to be her “real” name. On paper anyway. 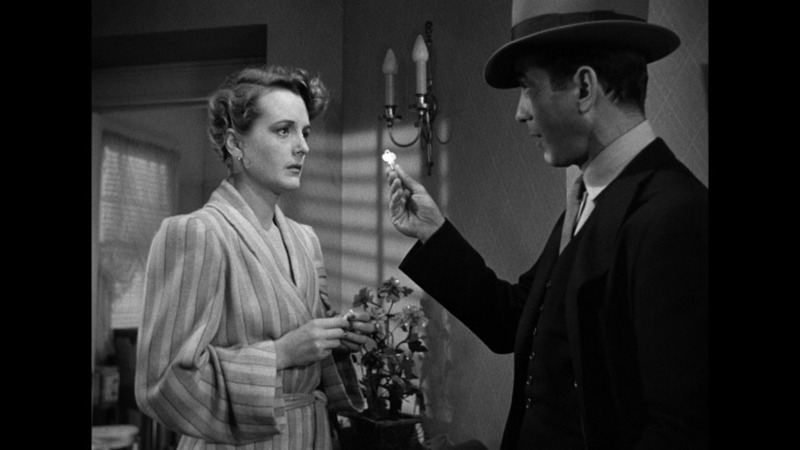 Her depiction of the cold and calculating O’Shaughnessy is my favorite of Mary Astor’s performances (although there are many I’ve yet to see). She’s fantastic in the film primarily because she plays the woman as on the edge, nervous, yet soft – in a romantic and wistful sort of way, if that makes sense. As a result, Spade falls for her and she keeps us guessing as to her true colors throughout the film, despite lie after lie after lie we are made privy to along the way. I’ll go further and say that, as the character’s different names may imply, Astor plays O’Shaughnessy as different women, all of which we believe at the precise moment she wants us to. Even knowing of her proclivity toward scheming, we empathize with her as she’s caught in the lies and deceit, because she also manages an “I can’t help it,” damsel-in-distress thing while showing us she’d do anything to get what she wants. 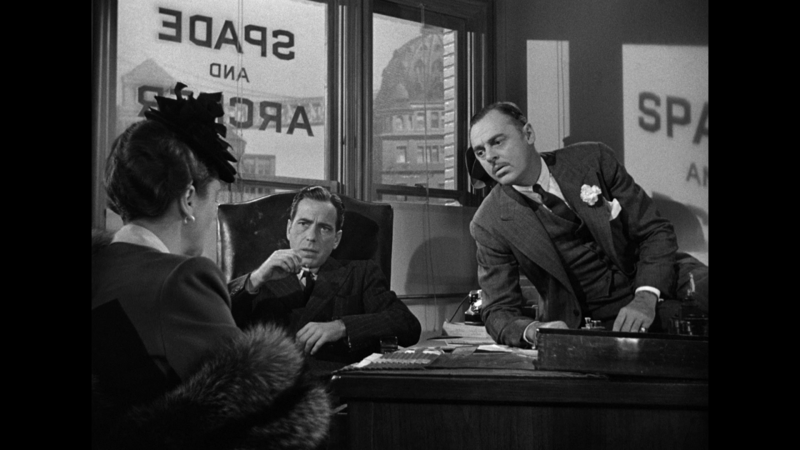 Sam Spade: Haven’t you tried to buy my loyalty with money and nothing else? Brigid O’Shaughnessy: What else is there I can buy you with? It’s quite something to behold. Again, a wonderful performance – heartfelt tears deeply intertwined with a cold heart. The forever suspect, bloodless anatomy of the femme fatale, which, by the way, illustrates John Huston’s wonderful revelation of character in this story. COLD! The good guy and he’s cold as they come. So much so that again, we empathize with the lying, murdering dame, the one who has always had the power to sway everybody her way, to seduce people. In the end there’s shock for Brigid O’Shaughnessy for she realizes this time she bet on the wrong person. The most obvious example of this is the last shot of her in the film. My favorite example of John Huston’s use of images in shadow to suggest and/or foretell a part of the story has nothing to do with Astor’s character in Falcon but I’m including it as a bonus. You can thank me later. 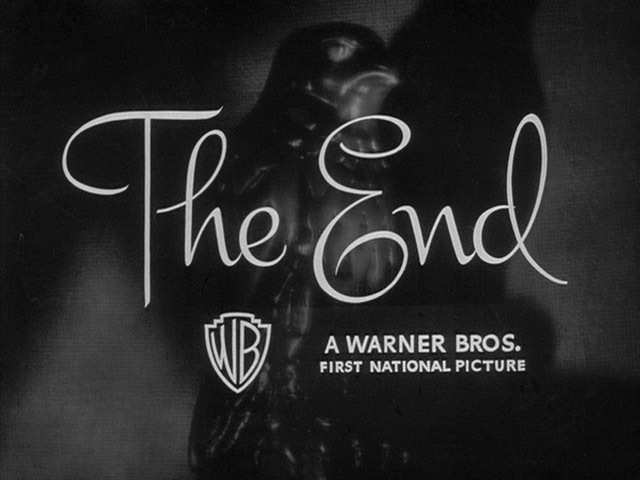 It takes place at the beginning of the film, right before Huston cuts to the scene where Miles Archer is shot to death. 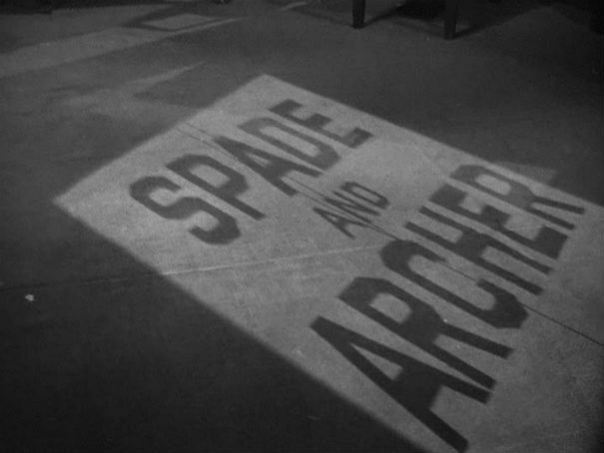 As the previous scene ends he slowly pans down to the floor in the detectives’ office to show the shadow of the office sign as reflected on the floor with the “look” of a tombstone. Archer dies immediately after. I could go on forever – Falcon is an exquisitely shot picture in all manner of ways. 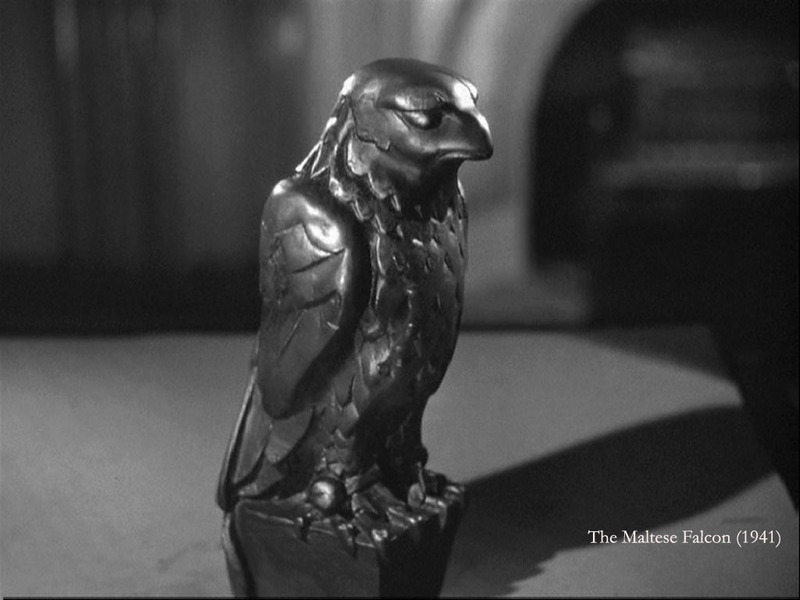 Aside from being highly entertaining for the labyrinthal (my new word) story of mayhem and murder that it is, which incidentally gets better with each viewing, The Maltese Falcon also proved to be an important film. This was noted by The Library of Congress as it was among the first films admitted to its National Film Registry in its inaugural year, 1989. Prior to Huston’s film, Hammett’s novel had been filmed twice, but this 1941 version is definitive, considered by many the first official film noir. The Maltese Falcon also has the distinction of cementing John Huston’s career as a director and elevating Humphrey Bogart from a former B-list character/lead actor to one of the top movie stars in Hollywood, an audience favorite with eventual cult status. Interestingly, Bogart appears in every single scene of Falcon with the exception of one, when we see his partner, Archer is shot by that hand in the dark. This film also marks the then 62-year-old Sydney Greenstreet‘s film debut, although he had had a successful stage career for forty years. And, it was the first pairing of Greenstreet and Peter Lorre (who I love in this film) and so well did they work together that they made nine other movies together. Always memorable. Mary Astor’s recollections also indicated that the actors would get confused by Huston’s plan to shoot every scene in each set until that particular set was no longer needed. The director also liked to shoot scenes with heavy, quick dialogue in long takes, switching cameras from character to character as each line was spoken. The cast, as a group, would often spend hours on end defusing the stress, a means of escape from, as Astor stated, the explosive relationships they had in the picture. I love that story. And by the way, Huston’s grueling pace and confusing methodology paid off in the end as he brought the picture in under budget and two days ahead of schedule. Not to mention how superbly his pace translates onscreen in that the film is brisk and supremely hardboiled (to use a noir term) from beginning to end. 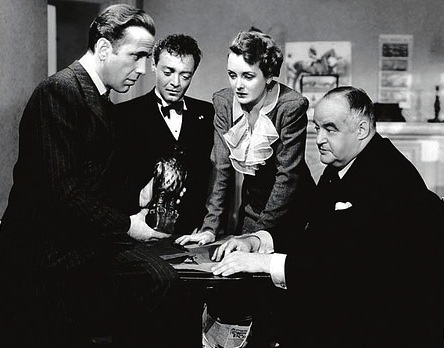 The Maltese Falcon was enthusiastically received by audiences and critics alike and would go on to receive three Academy Award nominations – Best Picture, Best Supporting Actor for Greenstreet and Best Adapted Screenplay – but took home no statues – neither Maltese or Hollywood grown. It’s somewhat ironic, but not necessarily odd in Hollywood terms that neither Bogart or Astor would receive nominations for the roles that immortalized them. Although, Astor did go home with Oscar that year, winning Best Supporting Actress for her role in Edmund Goulding’s, The Great Lie. A beauty since an early age, Mary Astor’s parents had dreams for her success and capitalized on her natural gifts by entering her in beauty contests at a very young age. These lead to her signing a film contract at the age of fourteen. It’s worthy of note she was one of a relative few who made a successful transition from silent pictures to talkies and ended with a career that spanned over five decades. Her life was a turbulent one both in private and in the pages of the gossip rags. She (reportedly) had several adulterous affairs with the likes of John Barrymore and John Huston (during the making of Falcon), multiple marriages, suffered from alcoholism and even attempted suicide. But no doubt she was also a survivor as she would eventually write two memoirs, several novels and make over 120 movies. The latter a rather astonishing number given she’d admit, “I was never totally involved in movies. I was just making my father’s dream come true.” Based on that quote it can be said her life truly was the stuff that dreams of made of. Except it wasn’t her dream. In memory of Mary Astor. 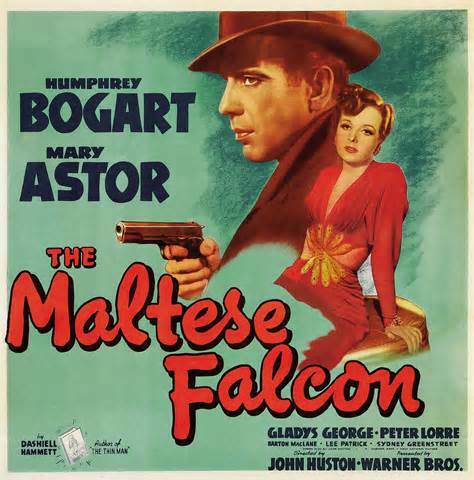 The popular radio anthology series, Academy Award Theater broadcast a 30-minute adaptation of The Maltese Falcon on July 3, 1946 with Bogart, Astor and Greenstreet reprising their roles. I’ve posted that broadcast here, for your listening pleasure. 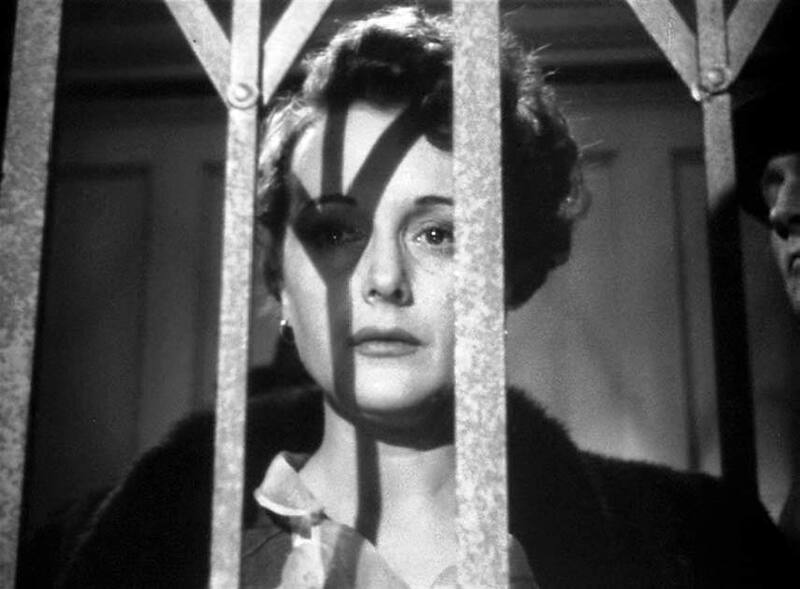 This post is my entry to the Mary Astor blogathon hosted by two of my favorite blogs, Silver Screenings and Tales of the Easily Distracted. I’m ecstatic to be a part of this event, which features an impressive line-up of entries. Please go to either host site to access fabulous post after fabulous post dedicated to Mary Astor in celebration of what would have been her 107th birthday. Thanks, Joey! Love the enthusiasm in your comments! They make my day! Geraldine Fitzgerald would have been excellent. She rather fits the description of “Brigid” from the book, doesn’t she? However, I’m so glad we have Mary Astor’s performance. It is a favourite of mine. Always a delight. Always a discovery. Your enthusiasm for the film is so clear in your writing. Enjoyed the article very much. I agree that Fitgerald would have been great as O’Shaughnessy. But I believe in the movie gods, who – for the most part – did little intercepting with the way things “should” have been in my book. I appreciate your enjoying the post – as I’ve said before, your one of my favorite bloggers so it always means something that you like these. As far as my enthusiasm – I actually try hard to write more professionally but the emotion for some of these films always get the best of me. Your skill is evident. Your love of your subject matter makes your voice unique. 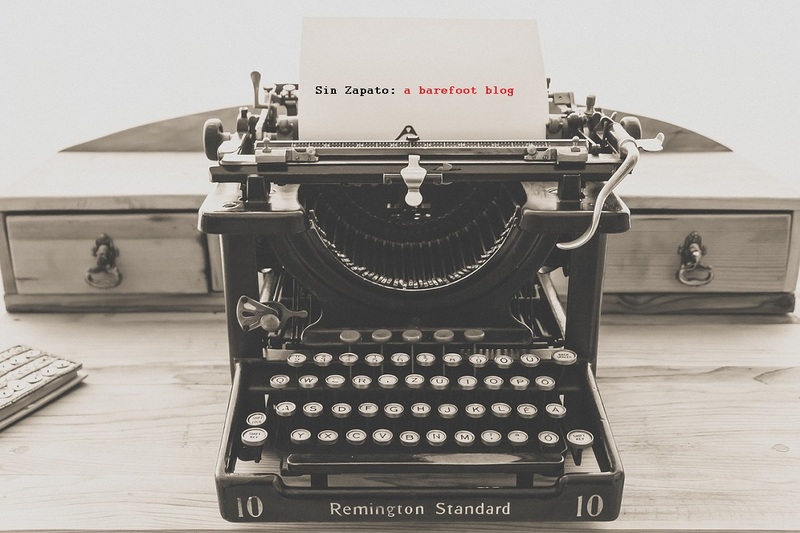 Your blog is must-read material. Just so that you know – you made my day! Yeah! Great movie! I always want to replay it as soon as it ends. So many memorable lines and moments. And I can see why you had to watch it a few times beofre you completely “got it.” This is one I have to pay close attention to still, in order to enjoy it fully. Otherewise I spend the entire time rewinding to catch every nuance of the hard-boiled labarynth. 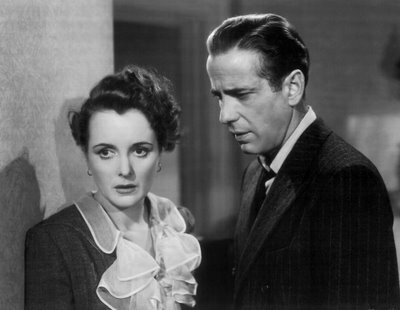 Aurora, I hear you — I could easily watch THE MALTESE FALCON just about every day myself! (Runner-up: ACROSS THE PACIFIC, with much of the same cast! :-)) The powerhouse cast , directed masterfully by first-time director John Huston (another Team Bartilucci favorite) is so darn perfect, I feel like I could open the novel and shake the characters out to appear before me! 🙂 I have nothing against Geraldine Fitzgerald, but our gal Mary Astor simply nails it! Mary once admitted that “if I’d had my druthers, I’d rather have gotten (her Best Supporting Actress Oscar) for THE MALTESE FALCON. I agree! I liked your quotes at the end, “I won’t play the sap for you…I won’t, because all of me wants to, and you counted on that with me just like with all the others.” These are the kind of lines and performances that stay in your gut, and you discussed them with so much thought and feeling. BRAVA to you on your superb post, my friend, and thanks so much for taking part in our Mary Astor Blogathon!! FABULOUS STUFF! I was seriously tempted to simply post the script – I mean, almost every single line in this movie is quotable! It’s my pleasure to be a part of the blogathon and PLEASE DO consider revamping that post about on the three versions of the film. I’ve never seen the other two. Thanks much, Dorian! Terrific post on this great film. Loved Astor’s work here, and how you’ve added background from her book. Your review is as exciting as the movie. Thanks a million, Jacqueline. I’m glad you enjoyed this post. I was afraid it would translate as babbling given the film’s fabulous tangled web. It was fun to write though. Thanks for such a thorough and thoroughly great post on a timeless classic and one of my faves. 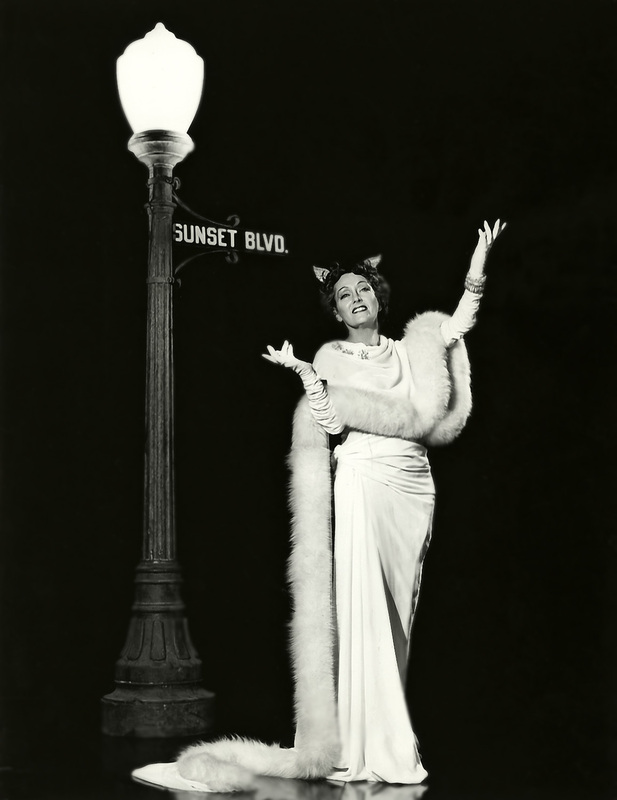 I found your blog through the Mary Astor blogathon and I’ll certainly be back! Hi Martin! I’m excited to see you here and bid you welcome. This is just a place I rant and rave about the movies I love so if you end up visiting now and again I hope you like what you see. Falcon is so fantastic – I’m glad you think I did it justice. You sure did! And I love it so much, I’ve even included it in the action of my 3rd book — “Citizen Hollywood” — due out late 2013. I’ve probably watched it 10 times and could easily watch it 10 times more! PS – I love “labyrinthal” too – mind if I use it??? Aurora, your review is like a love letter to this movie’s cast and crew. Astor is SO GOOD in this movie that , as you pointed out, you believe her every step of the way – even against your better judgement. I didn’t know this story had been done twice before, nor did I know Geraldine Fitzgerald was considered for the Astor role. Fitzgerald would probably have done a bang-up job, but I adore Astor in this role. Also, your new word “labyrinthal” is brilliant. Why haven’t we been using this word before? Wonderfully detailed look at this classic, and great pictures too. Thank you . Mary made the part her own and you perfectly describe her character. I always thought Bogart came on a bit too aggressively in some scenes. I preferred his more laid back style in later films. But of course this was the film that shot him to the stars , and led to Casablanca which producer Hal Wallis confirms was written with him in mind. Glad you liked this, Vienna. Funny you mention Bogart coming on too strong because I read that Wallis complained to Huston as he watched dailies that Bogart was playing it too laid back. I think he’s great in the part – pure Bogart. What else can we asl for? Aurora, by the quality of your reviews, either you have a fabulous memory or watches every movie so many times that you know them by heart. Anyway, I also love Peter Lorre in this film. He deserves more love from the world. And Mary, wow, is so good in this as she was in any point of her career. I own the book but I still haven’t read it. And the end of the post is a magnificent reflection. Thanks much, Le! I am heading over to read every entry as I can. Not too much time so can only get to a couple at a time. I have a terrible memory but do like to pay attention to details and listen to what I can about the behind the scenes. I do make a few notations of my favosirte scnes as I watch each film. Otherwise, I wing it. Thanks as always for stopping in. Excellent write-up of one of my all-time favorites (I’m one of those who think *this* is the film that should have won the Best Picture Oscar that year, yes, even over CITIZEN KANE). I had no idea Geraldine Fitzgerald was the first choice for the role – she certainly showed herself capable of playing such a character in her performance as George Sanders’ possessive sister in the unsung 40’s thriller THE STRANGE AFFAIR OF UNCLE HARRY – but I can’t imagine anyone other than Astor playing Brigid (certainly, as good as Bebe Daniels and Bette Davis were as actresses, neither of them measured up to Astor here in the earlier film versions). There’s a scene I didn’t pick up on until my second or third viewing of the film; it’s when Joel Cairo comes over to Sam’s place while Brigid is there. It’s the first time you see her cold, calculating side, and yet she turns right back into acting helpless, and Astor is able to handle that without any strain. Along with the final scene between her and Sam when she’s trying to convince him not to turn her in, it’s my favorite of hers in the film. Again, Aurora, excellent write-up. Thanks much for stopping in and for your comments! And, since you’re such a huge fan of the film, I’m thrilled you enjoyed reading this. OMG, I’d completely forgotten about UNCLE HARRY! Haven’t seen that in so long! I’ve yet to see the other two versions of FALCON but can’t imagine any of the others play O’Shaughnessy with her nuances – evil softness. You describe two wonderful scenes where she seamlessly slipped and we saw the dark side but always enveloped by the damsel. DAMN, I want to watch it again! And by the way, each and every character in FALCON deserves his own post and I may do that. I am forever blown away by Lorre in this, fascinated by how he uses his hand – always – but more so in this film. The scene where he has the cane, what he does while lighting a cigarette. A ballet for him but to anyone else a simple act. Gorgeous. Anyway, as you can see, I can go on forever! Surely one of Mary’s finest hours. Great review, but I must say I never really noticed how freaky that falcon looked! Haha. You’re quite right! I didn’t notice before either. Thanks and glad you enjoyed this. I was wondering who would be brave enough to take on The Maltese Falcon and what they would say about it. Fabulous job! I love the way brought out the nuances of Astor’s performance. Also, thanks for the on-set anecdotes. Love those things! Thanks – glad you enjoyed it. I chose the film because it was a challenge AND because it was time I dedicated a post to it. But it was so difficult to choose an angle given the fabulous array of elements one can focus on. As I wrote in another comment, I can very easily (and may) do a post to each character in the film. They’re so memorable. Aurora, a great piece – I’m another one who hadn’t realised that Geraldine Fitzgerald was first choice for Brigid, but, although I’m sure she would have been great, Mary Astor totally makes the part her own. I agree with everyone else that I could watch this movie endlessly. Amazing to realise that it was Huston’s first. Sure is amazing! There’s nothing wrong with this movie and not an easy effort, given the fast and furious script, which is a Huston masterpiece in its own right. Thanks for your comments, Judy and for stopping in. Well Aurora, you have truly outdone yourself. What a great post on a film that everyone seems to love. 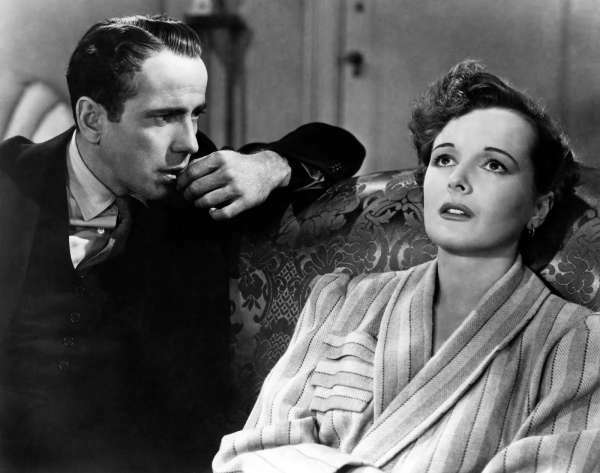 I always find it hardest to write about films that are so popular, but because of your obvious passion for “The Maltese Falcon” you have made it look quite easy. You have an extremely talented ability to capture how we all feel about this film and translate it into words on your page. Thanks again for everything you have written and just for making me think about a film as great as this one. Your post is absolutely perfect! Thanks much for your lovely comments! I’m thrilled you enjoyed this. It wasn’t an easy post only in that It’s hard not to go on and on – so much to be said. But it was fun. Above all, I’m happy people think I did it justice. One of the greats! I enjoy your writing style and it proved to show MF for the brilliant film that it was and why it is so high on the list of great cinema. Nicely done, Aurora. Sorry, I’m getting to everyone’s reviews so late. Thanks much for your comments, Page! I’m glad you liked this. I still haven’t finished reading all the entires myself so no need to apologize. Great turnout for this event. You’re the reborn Brigid O’Shaughnessy, aren’t you? Thought you’d get away with it, didn’t you? Well, we’re not gonna be saps for you, Brigid. P.S. Wonderful analysis of one of the greatest films of all time. After one of my many viewings of The Maltese Falcon I came to the realization that Ms. Wunderly, LeBlanc, O’Shaughnessy never tells the truth! I realized this near the end of the film when she’s in the kitchen and Sam asks her if the coffee is almost ready she replies that it is but she has the innards of the coffee pot in her hand so she obviously hasn’t even started it yet.